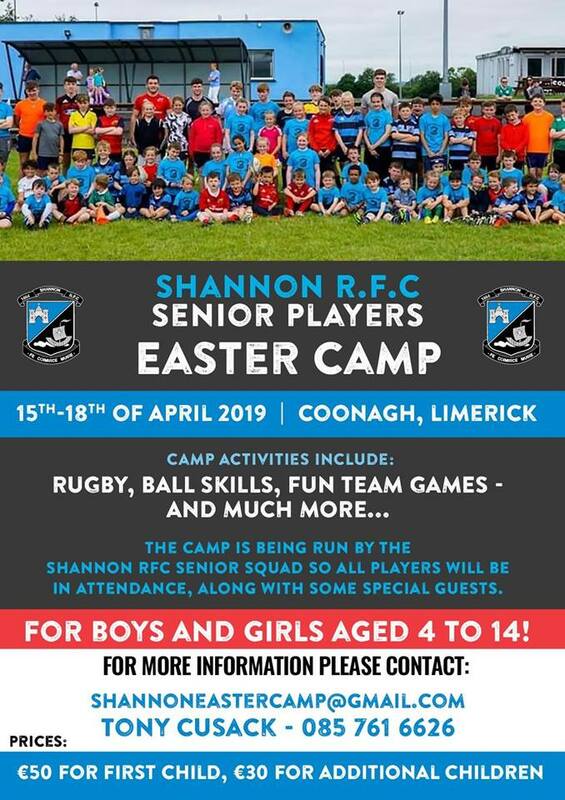 Notes W/E 03/03/19 | | Shannon Rugby R.F.C. Last weekend was a busy one across the club with another mixed bag of results. 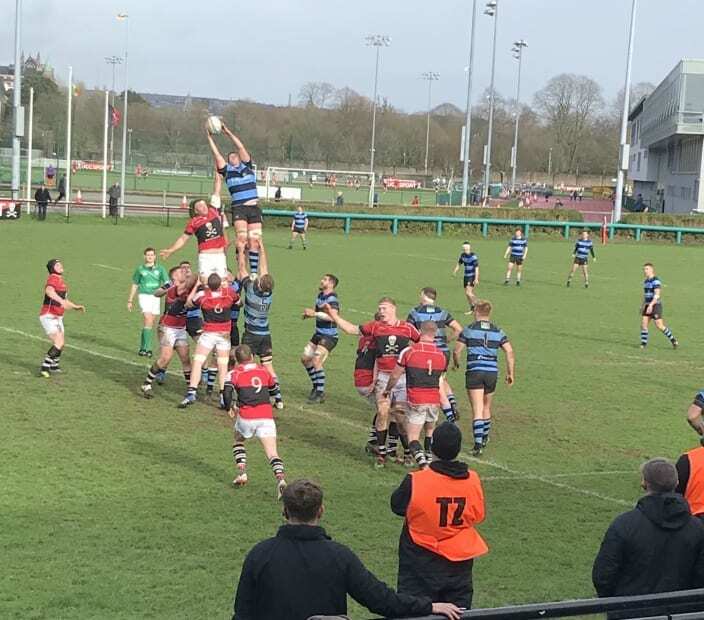 Our Firsts were unlucky against UCC in the Mardyke in Cork last Saturday in miserable conditions. Our Thirds and Ladies however, both graduated to the finals of their respective leagues after two tough matches – both in Coonagh. Reports for all can be found below. This weekend holds only two fixtures for our Firsts and Seconds. Our firsts are on the road to Dublin where they face Clontarf in Castle Avenue. While our seconds get their Junior Cup campaign off to a start with an away trip to Highfield. All support for both is most welcome! This weekend marks the final weekend for entries to the Champ or Chimp competition, we have plenty of entries so far so if you aren’t already in the draw make sure you have your entry back by this week. The last cut off for accepting forms is the 10th of March. If you would like to enter but don’t have a form, please advise by return email and I will arrange for a form to be organised for you. Thanks to everyone for supporting our Seniors Summer Tour raffle. Conor Glynn and Noel Healy kindly announced the winners on Tuesday night. •In 1st place, Garry Dillon who won 2 match tickets to the Ireland v France game on Saturday including the pre-match patrons lunch in House Dublin. Well done to all and thanks for taking part. Round 14 of the league was a low scoring affair as both Shannon and UCC struggled to make much of the poor conditions. Handling errors made for some scrappy play with UCC managing to cross the line twice while we had to make do with an early Fionn McGibney penalty. There wasn’t much separating the sides at half time with UCC going in 10-3 ahead, however they emerged with an early score in the second half to go 15-3 ahead and this score stood until full time. For the second week there are no changes to the table, we still sit in 7th place. This weekend sees another good fixture ahead as we travel to Castle Avenue to take on third-placed Clontarf. All support is most welcome so if you can, please travel to lend your voice to the side line. Our Thirds stormed into the Gleeson league final with a 34-7 victory over Kilfeakle in Cooangh last weekend. Again in tough conditions, the thirds dominated the game and came away with the all important win. The thirds have won each Gleeson League match they have competed in so far this season. The final is yet to be set but the Thirds will face Carrick-on-Suir who beat Garryowen in their semi-final. 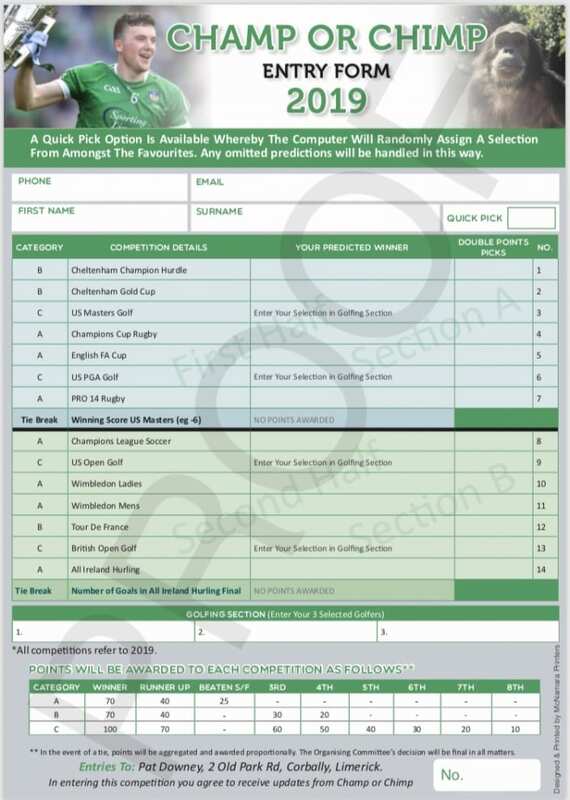 We will keep you posted for a final date but all eyes now turn to the Webb Cup which kicks off on the 23rd of March. Knock out rounds don’t get much closer than this! Our Ladies faced Thurles in Coonagh last Sunday in the semi-final of their league. 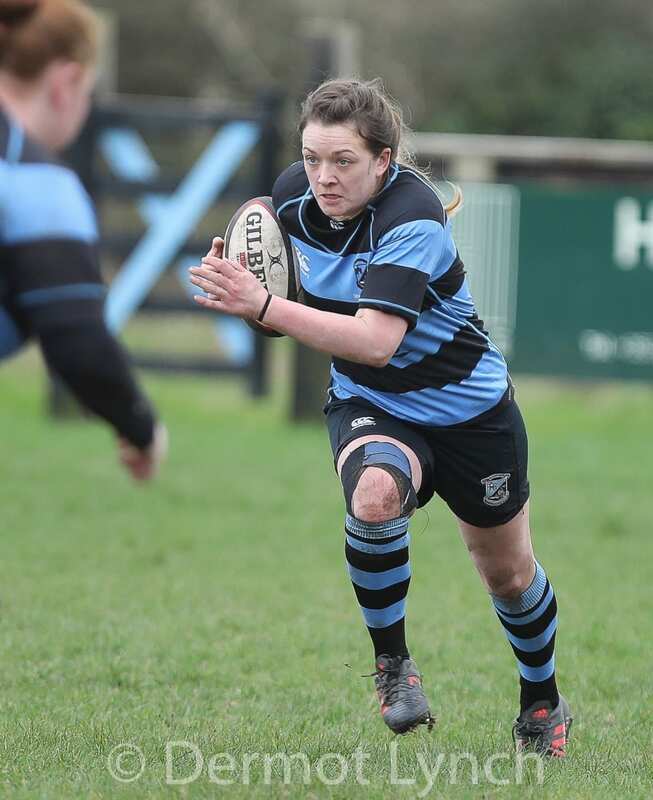 In rain, sleet and snow – the Ladies dug deep and hung on for the win even as Thurles bagged a penalty try in the dying minutes to leave it a one point game. It was a fantastic team performance from our ladies who have booked themselves a spot two finals in as many weeks. Shannon tries came from Aoife Twohill and Tracy Lawlor with Valerie Power adding the rest.Again, the fixture for the final hasn’t been set yet but we will keep you posted. 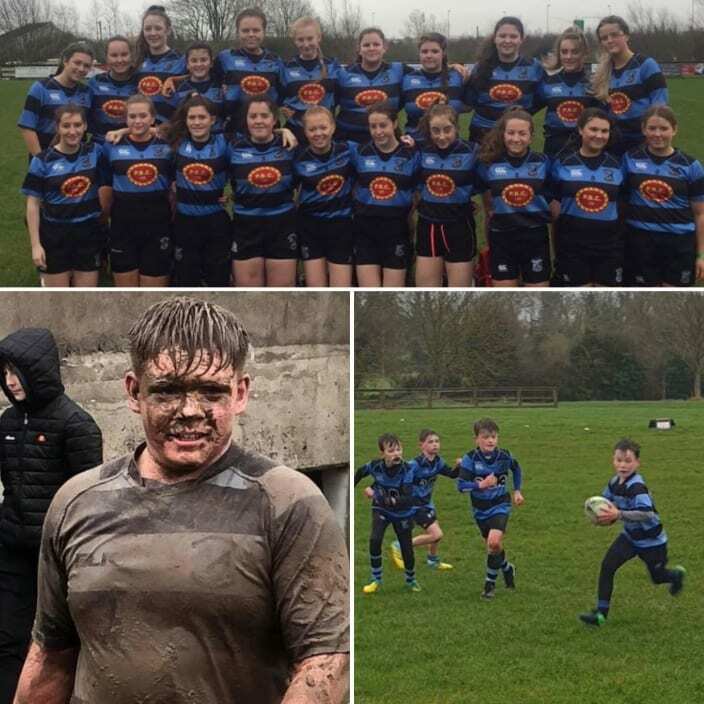 It was a testing weekend for our underage last weekend as the unexpected snow and freezing conditions made things difficult – our underage are a hardy bunch though and they pushed on undeterred! Well done to both of our U11’s teams last Sunday. They played some great rugby at St Mary’s with the home team hosting Abbeyfeale & Newport in what were pretty awful weather conditions. 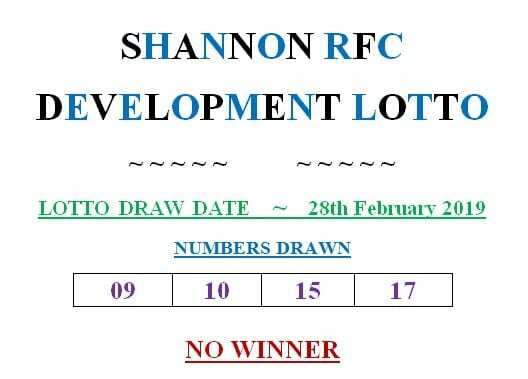 Next week’s draw is for €2,100 and will be held in Fla’s Bar on the 07th of March 2019.